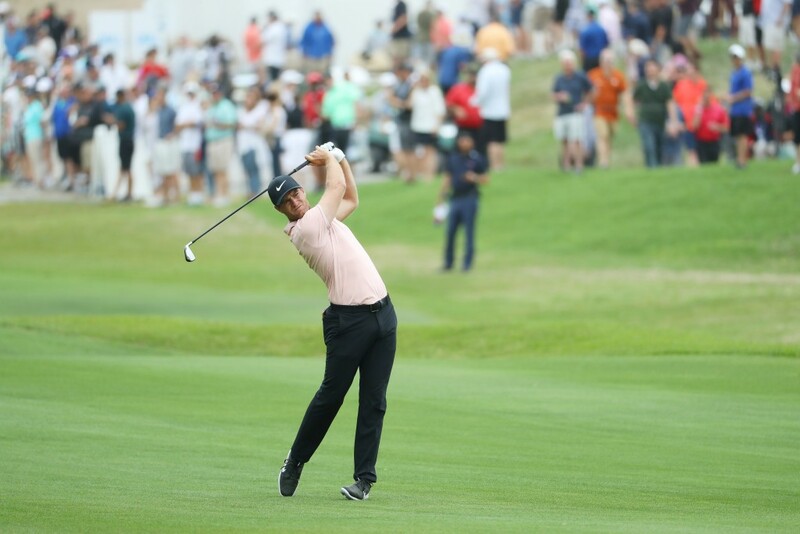 A RECORD-breaking eight Europeans progressed to the last 32 at the WGC-Dell Technologies Match Play after another fascinating day at Austin Country Club. Denmark’s Lucas Bjerregaard was the only debutant in the field to top his group – setting up a clash against fellow Scandinavian Henrik Stenson. Bjerregard’s match with England’s Matt Wallace went all the way to the 18th hole, but the 27 year old battled to a one up victory to join nine other European Tour members in the final 16. The Great Dane, who won the 2018 Alfred Dunhill Links at St Andrews, revealed: “I had not seen anything from Justin’s match. “My caddie is the one who told me when I missed the one on 18 that he had halved. I just knew that I had to win. It’s been a couple of stressful days but I’m happy to come out and go through. “It should be fun. I like Henrik. I don’t think I’ve ever played with him, actually. But it should be fun. Stenson, meanwhile, beat 2020 Ryder Cup Captain Jim Furyk 5&4 to make it three successive victories. The Swede, who won the WGC World Match Play back in 2007, said: “That’s the best round of golf I’ve played all year for certain. I’m very pleased to put it together. “It was called the group of death and I guess I managed to bring it to the other guys. It was always going to be a tough group. “I think that was really inspiring on my end, being up against such great players. I just happened to bring my best game. “I’m trying to keep expectations low. I haven’t had a great start to the year. I’ve been working hard to try to get it to the right place. “Certainly today I had some beautiful iron shots. I think I hit it within a foot four times on my approaches, which is good on any day anywhere. The 2018 Race to Dubai Champion Francesco Molinari also retained his 100 per cent record with a 2&1 triumph over Webb Simpson, as did Branden Grace. The South African overcame Chez Reavie 2&1 to set up a showdown with Ryder Cup legend Sergio Garcia, who progressed despite a 2&1 defeat to Patrick Reed. Garcia, whose best finish in the WGC event was fourth back in 2010, despite his enviable Ryder Cup pedigree, said: “Obviously that was the goal, to get through. “In the perfect world, I would have loved to win today and I probably had my chances to do it. “But you also have to give credit to Patrick, he played really well, mainly the back nine. He shot five-under in eight holes. “So when someone does that to you and you don’t take a couple of chances that you had, it’s going to be difficult. The first day of the knockout stages has thrown up numerous mouth-watering matches in Texas, with Molinari taking on his 2018 Ryder Cup team-mate Paul Casey – who beat Cameron Smith 4&3 to top his group – while Hampshire’s World No. 2 Justin Rose ground out a victory by one hole over Gary Woodland to remain unbeaten. He will face Kevin Na in the first knockout stage. Surrey-raised Casey, looking to win back-to-back titles and his first WGC belt said: “I’ve got to think I had a little bit of luck there with Cam three-putting right there. “But I feel really good about the game. The only thing I’m trying to do is save the energy, because the win last week at Valspar, that was hard work on Sunday. Rose, last year’s Fed Ex Champion, said: “I was delighted to get through that match. It wasn’t really pretty, to be honest with you. “I think I classed it as a pillow fight and then turned into a bit of a dogfight to the end. “Gary actually played pure off the tee, especially. I think he let me in a little on the front nine. “I felt like he could be two or three-up on me early, but fortunately I think I went one-up through eight. “So that was the key moment in the match, about six, seven, eight – just really keeping myself in it or being let back into the match. “And then I got a little bit of momentum up, and birdieing 12 and 13 got me two-up. “At that point I was just trying to get it into the clubhouse and get through. “Kevin is a gritty player. I think this golf course is his type of golf course. Length is not a big deal here. He’s got a great short game. China’s Haotong Li overcame Sweden’s Alex Noren in a play-off to squeeze through and he will come up against last year’s runner-up Kevin Kisner, who beat Ian Poulter on the third play-off hole to win his group. Harleyford’s Tyrrell Hatton beat his English compatriot Lee Westwood 3&1 and he will face Matt Kuchar in the Round of 16, while Louis Oosthuizen triumphed over 2017 European Tour No. 1 Tommy Fleetwood to set up a clash with Marc Leishman. All eyes in Texas though, are likely to be on the 8:30am match which pitches World No. 4 Rory McIlroy against 14-time Major champion Tiger Woods.